Shares in Rostelecom gained 1.62 percent Friday, outperforming the benchmark Moscow Exchange on the news that billionaire Arkady Rotenberg had bought 10.7 percent of the state-controlled telecommunications firm. Rotenberg's Bellared Holdings bought the stake from private investment company Marshall Capital, the latter said in a statement late Thursday. The companies involved in the deal didn't disclose terms. “The shares were valued with a good premium to the market price and were close to the price the seller was asking,” Rotenberg spokesman Andrei Baturin told Kommersant. Marshal Capital owner Konstantin Malofeyev asked 167 rubles ($5.60) per share. He sold his stake at 150 rubles per share, Vedomosti reported Friday, citing sources familiar with the details. At that price, Rotenberg paid 47.2 billion rubles ($1.6 billion) for his stake, 22 percent above its value based on Rostelecom's closing price of 122.7 rubles Thursday. Rostelecom gained 2.3 percent in Moscow during the first 20 minutes after trading started Friday, while the Moscow Exchange lost 0.3 percent. The sale of the Rostelecom stake to Rotenberg is a positive for the telecom company, analysts said. 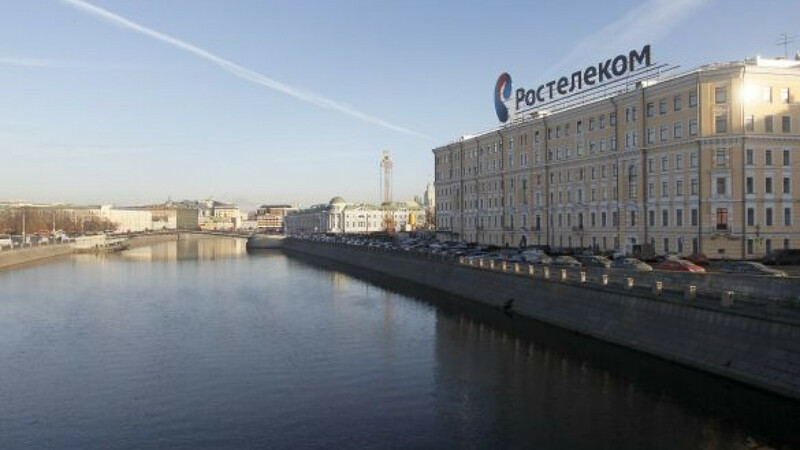 Having an influential owner with excellent contacts in the Kremlin is likely to be beneficial for the company, since that could help reduce its volatility attributed to corporate issues, Rye, Man and Gor Securities said in a research note. Rotenberg might seek to raise his stake in the company, the brokerage said. Rotenberg is President Vladimir Putin's long-standing judo sparring partner and the founder of St. Petersburg judo club Yavara-Neva, which is chaired by Putin. “Rostelecom got an influential shareholder who is usually very selective in buying assets,” Alfa Bank said in a research note. That means Rotenberg, who plans to participate in the company's corporate governance, is likely to seek returns on his investment, the bank said. Rostelecom is Rotenberg's first investment in the telecommunications industry. His other assets include pipe-laying company Stroigazmontazh, one of Gazprom's biggest contractors, and SMP Bank, which Rotenberg co-owns with his brother Boris. The ministry stuck by its forecast for full-year contraction of just 2.2 percent, suggesting things could improve before too long. That optimism was picked up by Shuvalov. The government proposed three candidates for the board of Rostelecom to oversee its 7.4 percent stake in the national operator, Interfax reported. The list includes Sergei Kulikov, general director of Russian Technologies, Mikhail Alexeyev, chairman of Unicredit Bank, and Svyazinvest general director Vadim Semyonov, a former classmate of Prime Minister Dmitry Medvedev. Eight of the 11 seats on the Rostelecom board are occupied by candidates nominated by Svyazinvest, which holds 45 percent of the telecommunications giant. In addition to the 7.4 percent of the state’s stake held via the Federal Property Committee, another 2.4 percent is held by Vneshekonombank. Svyazinvest has yet to comment on its list of proposed candidates for the board. Rostelecom shareholders are permitted to propose candidates for the next board through March 1.